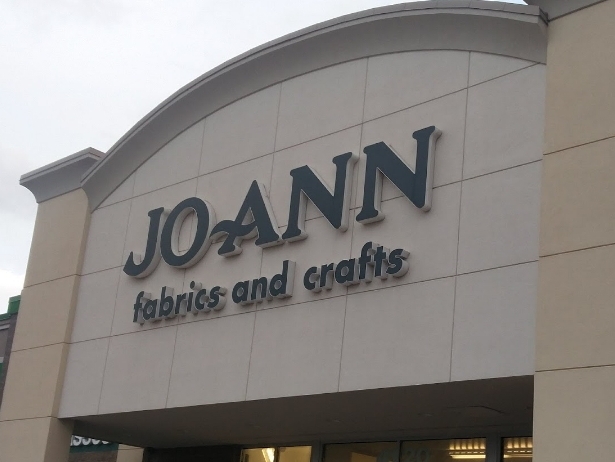 I got a job at Jo-Ann Fabrics!!!! I am so excited to be able to work in one of my favorite stores! About a month ago I found out that my local Jo-Ann's was hiring, I went straight to my computer to apply!! I had an interview almost immediately and then after filling out and signing a bunch of paper work online, I was hired!! I have worked a few shifts already, one of them being on Black Friday Morning, and am having tons of fun! 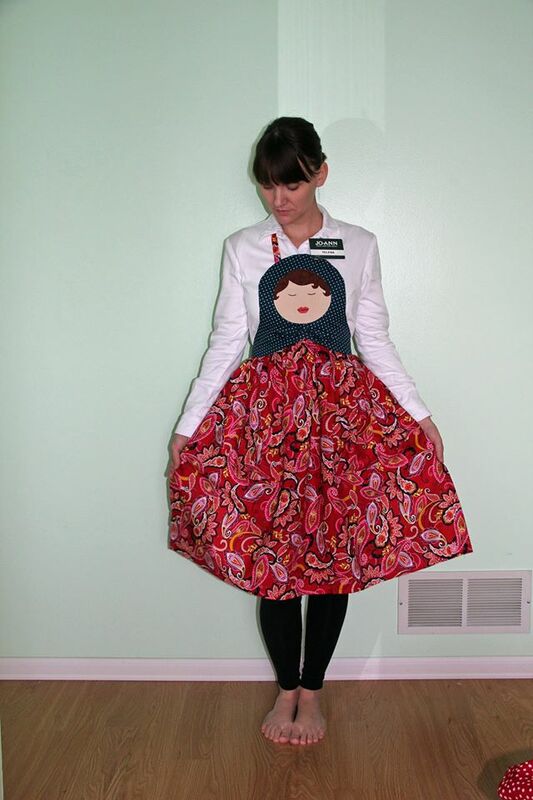 What I love about this pattern is the gathered bodice and the smooth, a-line skirt... but the price was a bit much for me and I had to wait for the pattern to come in the mail. Since I have some pretty good sewing skills, I decided I would just wing it. 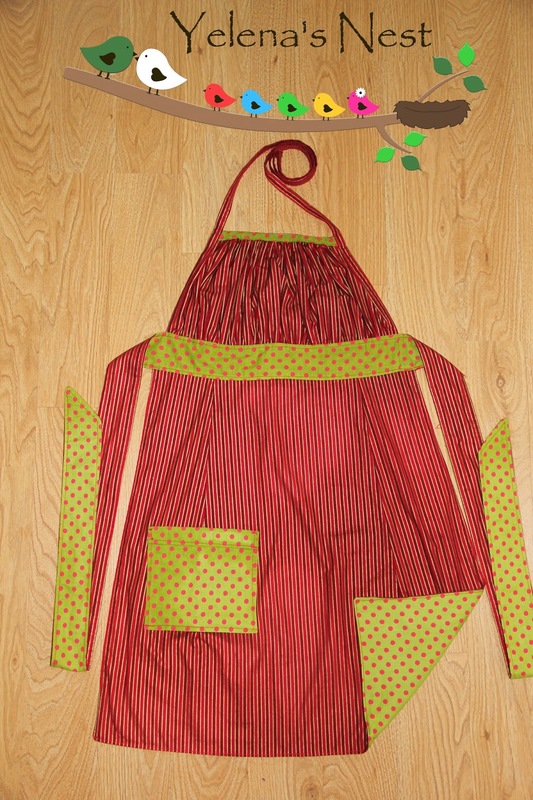 I bought some fabric, drew out and "dissected" the drawing, cut out the pieces and sewed everything together. I would love to post how I did it, but I think I would get in some copy right infringement trouble.. so I am not going to. 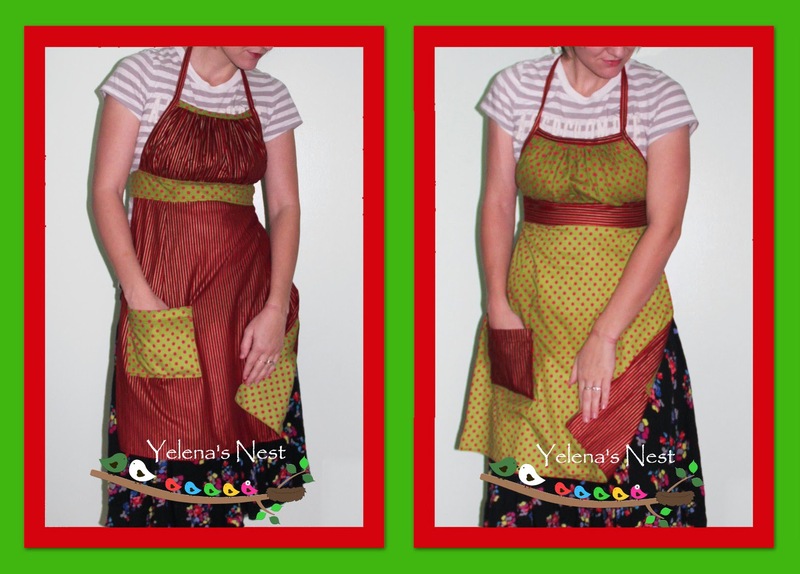 For January, I made a matryoshka apron. Not really winter theme, but I'm sure it'll be ok as there is currently a similar matryoshka apron free pattern available at the store. 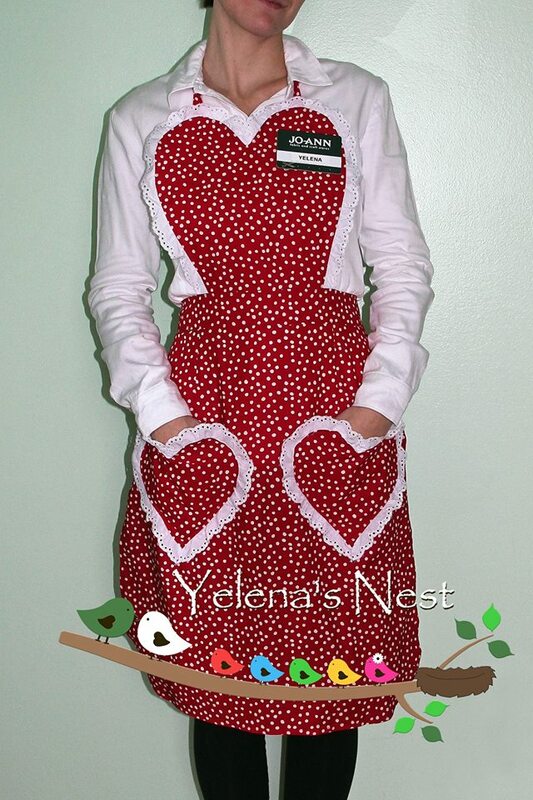 And for February's Valentine's Day theme, I made a heart shaped apron with ruffles.